This topic contains 106 replies, has 43 voices, and was last updated by kristina 2 weeks, 3 days ago. 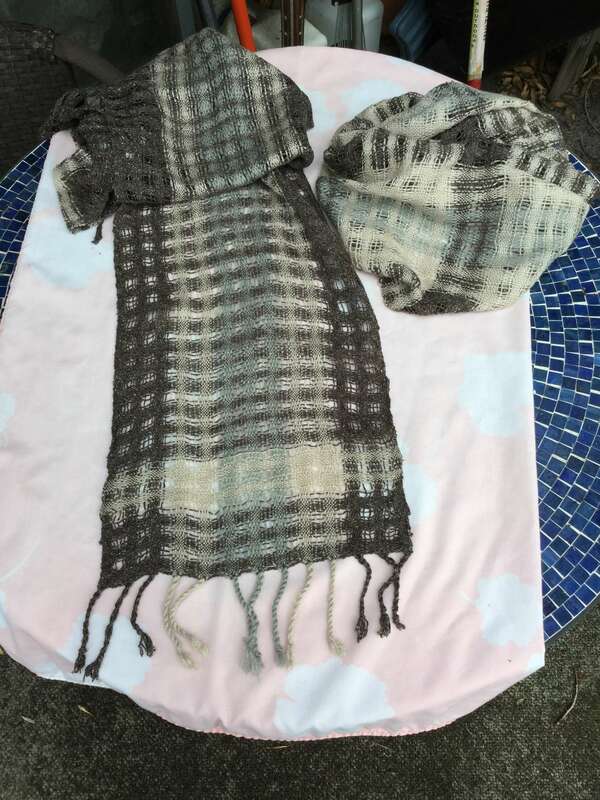 Finished two scarves using the denting technique. I really enjoyed this! One half was black and the other was part of the muted gamp from last season. I used 16/2 cotton for the warp and weft for 3 scarves and 30/2 silk for another. 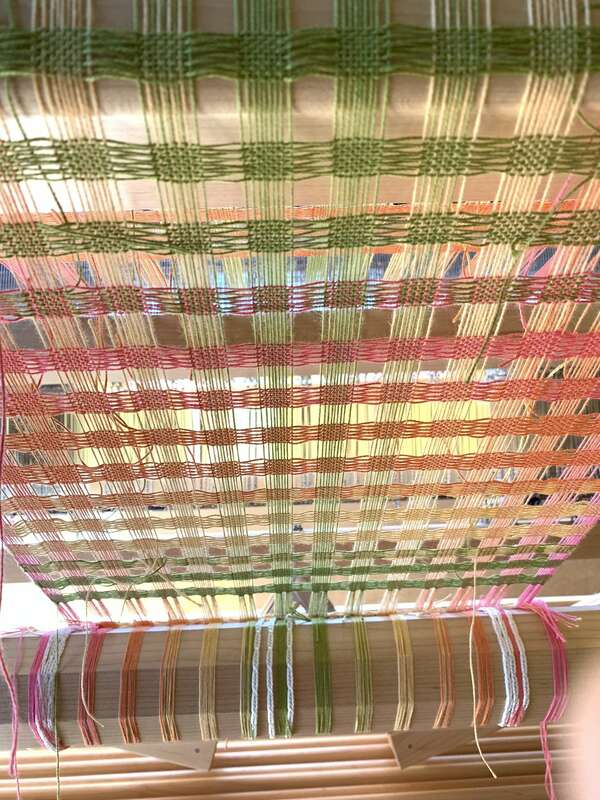 The silk seemed to allow the warp threads move more than the cotton. Something to remember for the future. 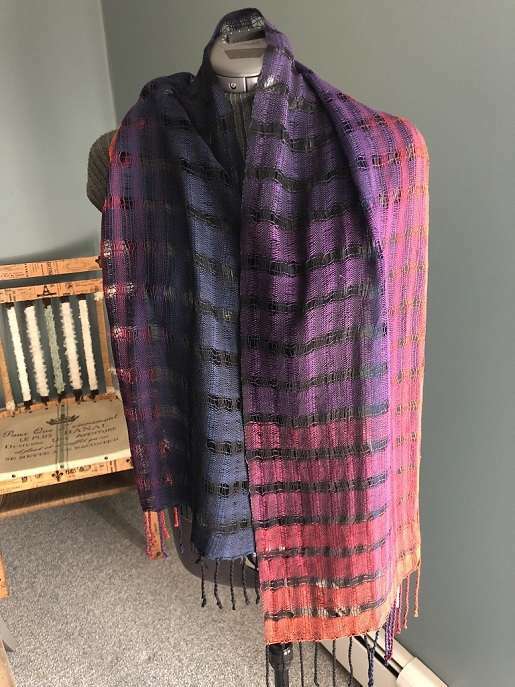 I received a real compliment today when our Guild newsletter editor asked if I would allow my scarf could be on front page of our member newsletter!! Carrie, they all look lovely, I might have to give the merino a try! They all look so great Carrie! I like how each one is so different. 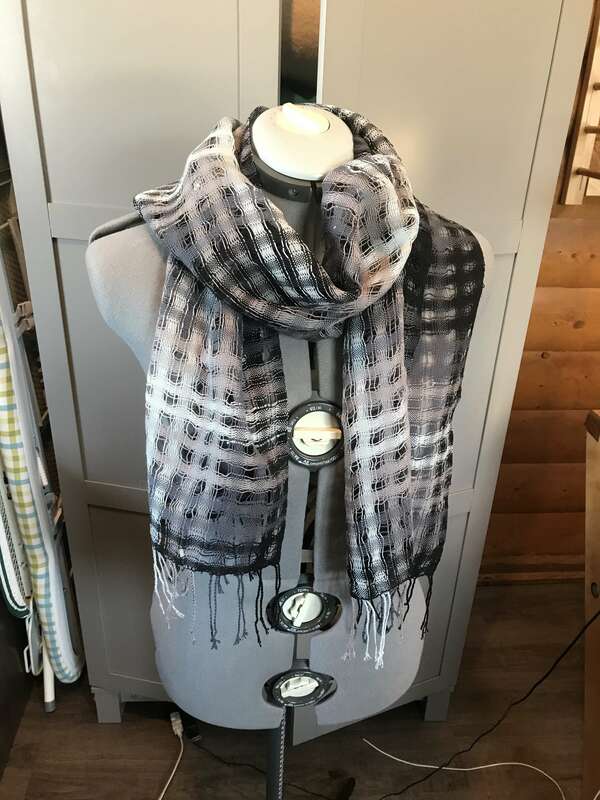 ‘The first scarf was woven in pattern in the cotton, the second one was done in cotton without denting in the weft and the last one was done with merino in the weft. The second one ended up being a bit stiff. I really like the other two. 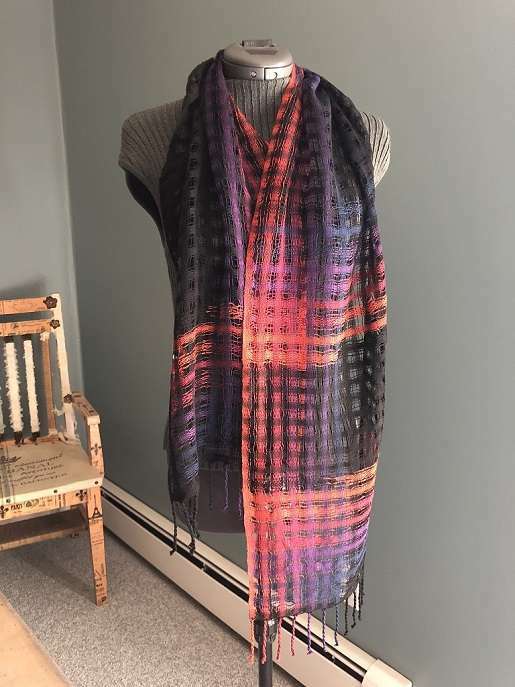 They seemed to be kind of crazy while they were being woven , but look great after finishing. This reply was modified 1 month ago by Karen. Beautiful Janet, that’s quite the transformation of the Parrot colours!! Kudos! 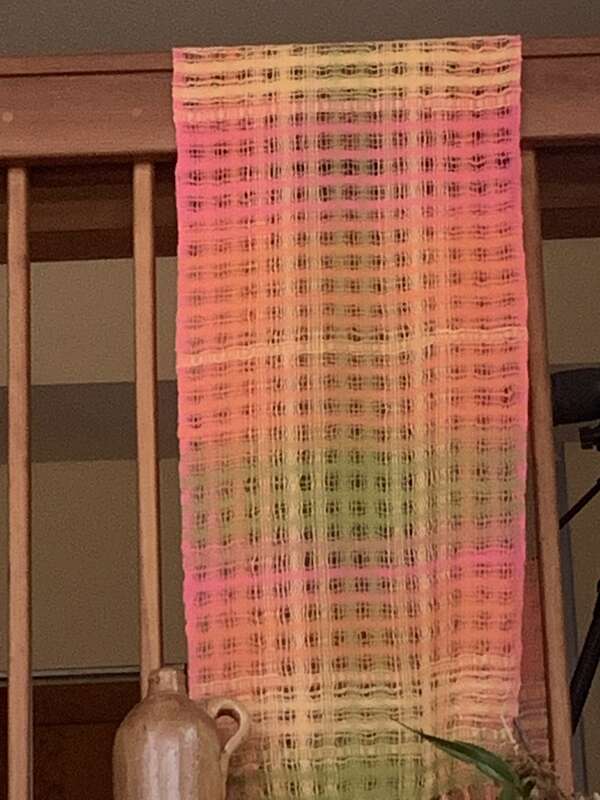 I used left overs from the Parrot project and love the way it looks! It was hard for me to get a rhythm though and I tucked and clipped all the little ends, which was a pain – curious to see how it holds up. I hand washed and tossed in the dryer til it was kind of dry, then ironed. 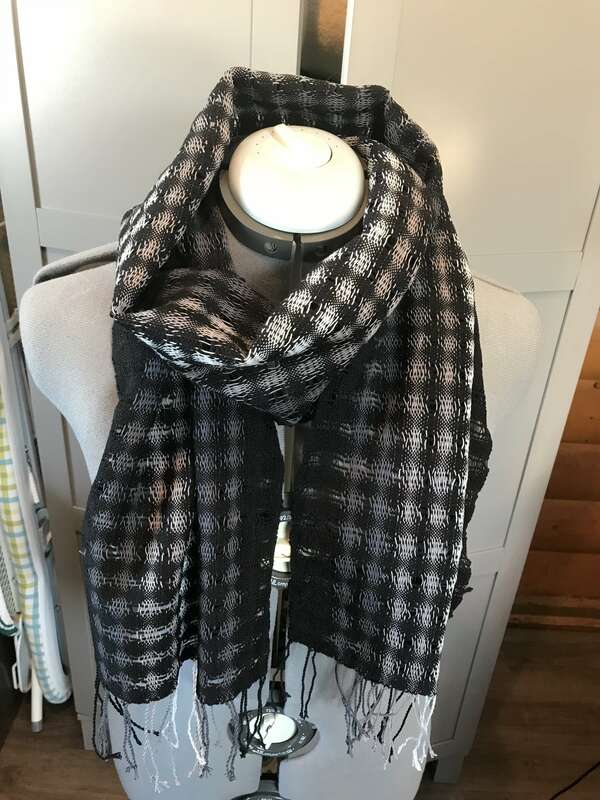 Did you somewhat firmly weave your weft sections – in the manner that Jane demonstrates while she is weaving her shawl? It starts around the 21 minute mark in video 1 of the Denting episode. 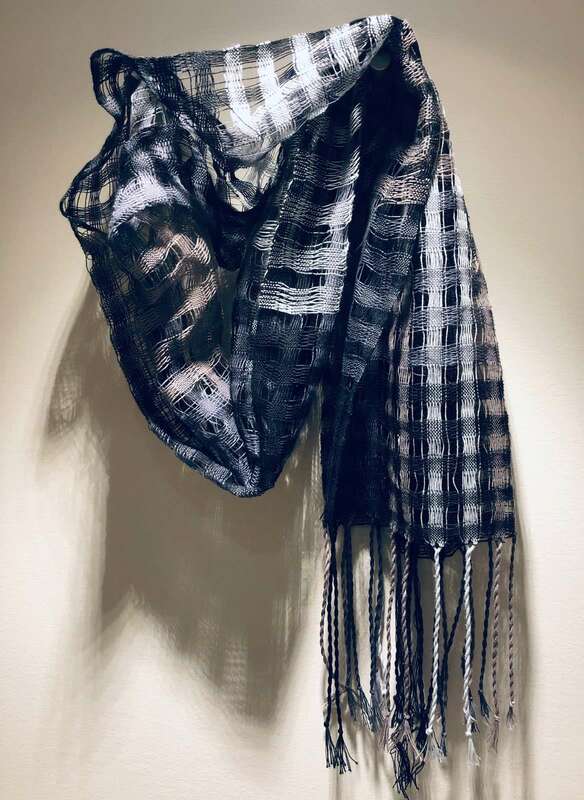 I like your shawl the way it is but a review might help if you want to make another one. It was used for both warp and weft. My guess is that it depends on the silk noil, I’ve had some loosely spun and others tightly spun. Yours didn’t seem to hold on even when crammed. 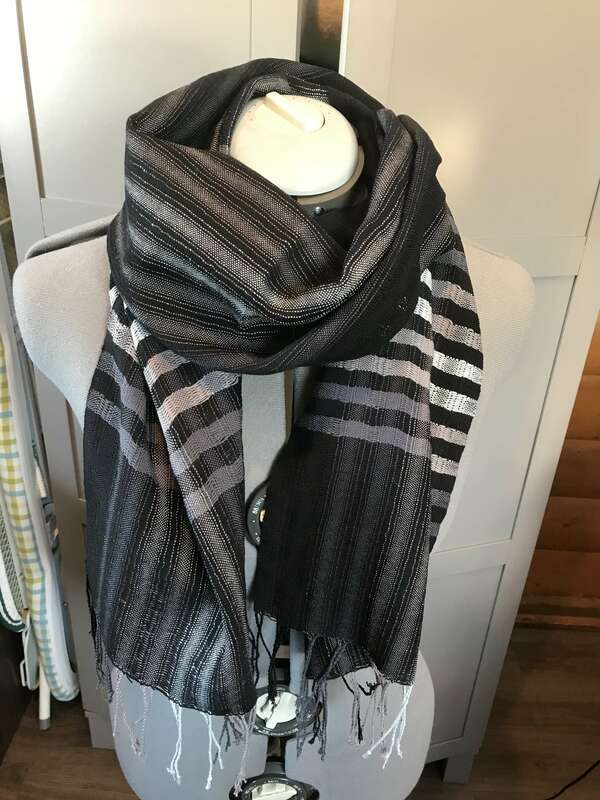 It’s a beautiful scarf, though. 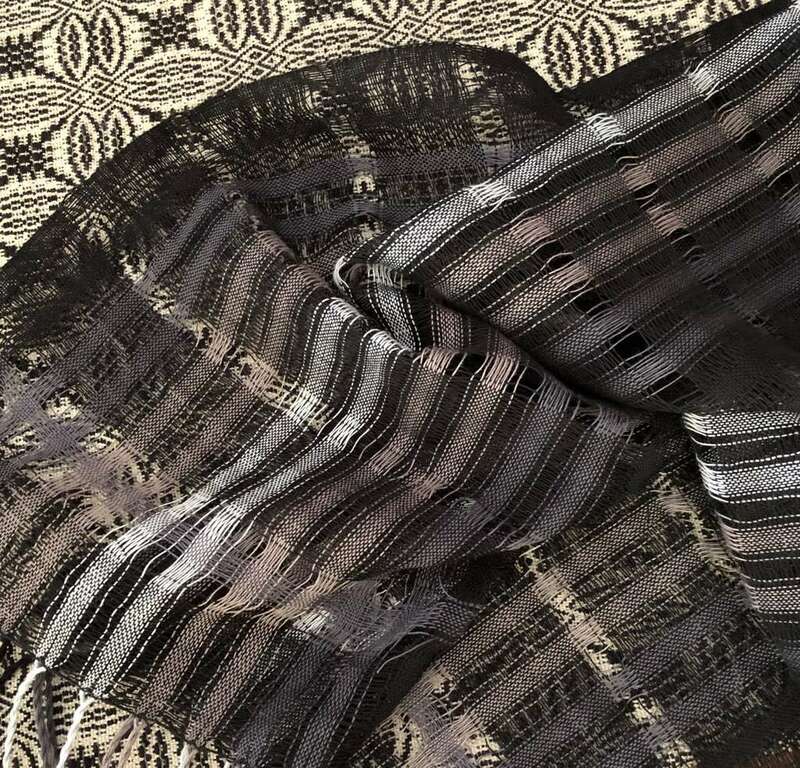 Was the silk noil in both the warp and weft? I still love it but did I do something wrong? This is a Silk Noil. Once washed it seems to have moved a lot. Not pulling selvages where I did a little cramming. Is it just the nature of the fiber? Sorry it took me so long to respond. I broke my wrest and had to have surgery. I hope this doesn’t come too late. 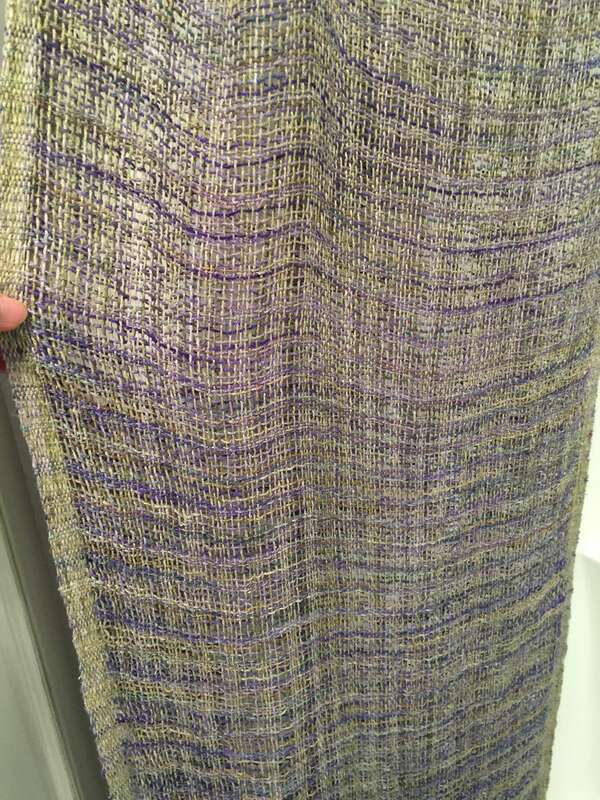 I added the additional warp yarn by leaving the loom threaded until I was ready to rethread the entire warp. 1) I placed the additional warp on a rod with lease stick in place. 2) Rolled the original warp off the back beam chaining it as I went and using a few choke ties in addition to chaining. 3) Dividing my original warp into small bundles to keep it from shifting, I wrapped each bundle with thread and tied a knot as close to the rod as possible. 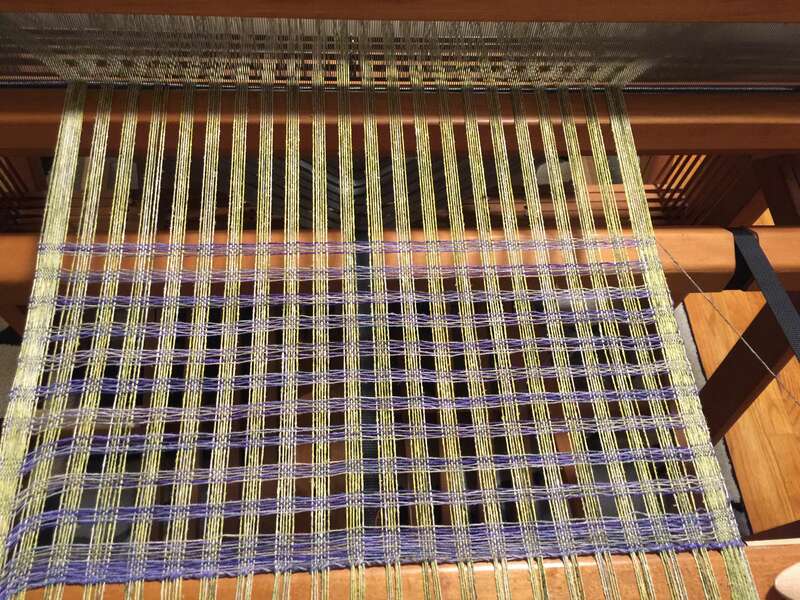 4) I positioned the additional warp on the rod at the area it needed to be added. And tied the rod with the new warp onto the rod with the original warp. Then I wound both warps onto the back beam together making sure to maintain equal tension. 5) I unthreaded the original warp in small bundles at a time, and used a slip knot to keep each bundle in order. 6) Working with the bundles from the original warp and the threads from the lease sticks of the new warp, I managed to have the whole thing rethreaded in no time.